Who is the Most Active Agent in the London Office Market. 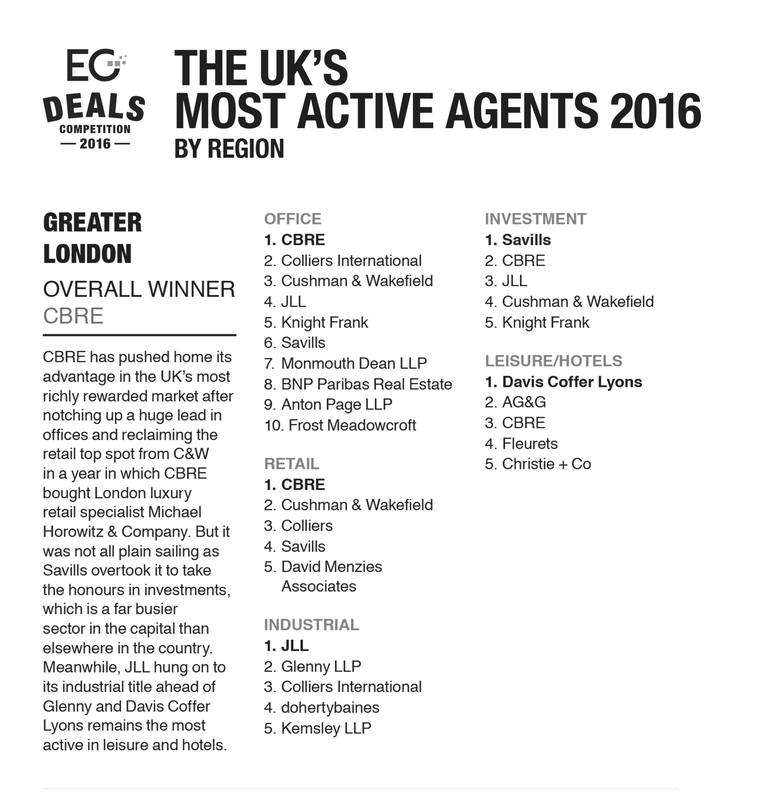 Frost Meadowcroft ranked 10th Most Active Agent for London Office Market in the whole of 2016 in EGi Deals Competition 2016. You can read the full article from Estates Gazette, either in the magazine or by downloading the PDF attached to this news article. CBRE has pushed home its advantage in the UK’s most richly rewarded market after notching up a huge lead in offices and reclaiming the retail top spot from C&W in a year in which CBRE bought London luxury retail specialist Michael Horowitz & Company. But it was not all plain sailing as Savills overtook it to take the honours in investments, which is a far busier sector in the capital than elsewhere in the country. Meanwhile, JLL hung on to its industrial title ahead of Glenny and Davis Coffer Lyons remains the most active in leisure and hotels.